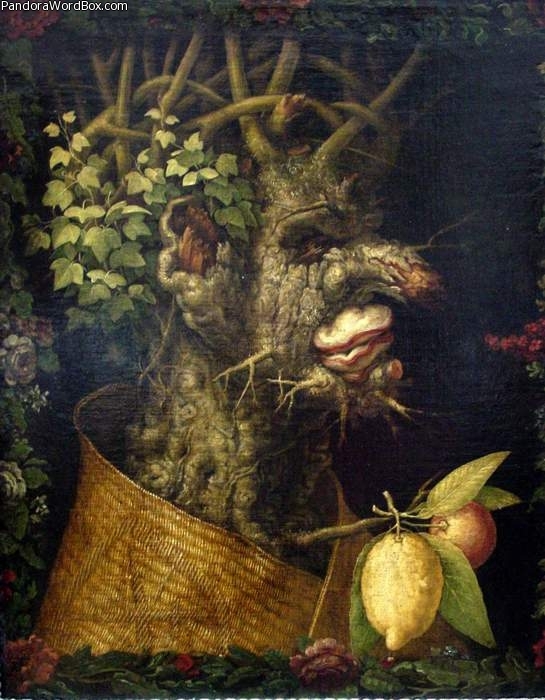 Giseppe Arcimboldo was a native from Milan and son of Biagio Arcimboldo, a painter and nobleman. Arcimboldo served the Holy Roman Emperor Maximilian II (Hapsburg ruler in Vienna) where he created a series of composite heads for which he is famous. In his later years he served Rudofl II in Prague (son of Maximilian I).